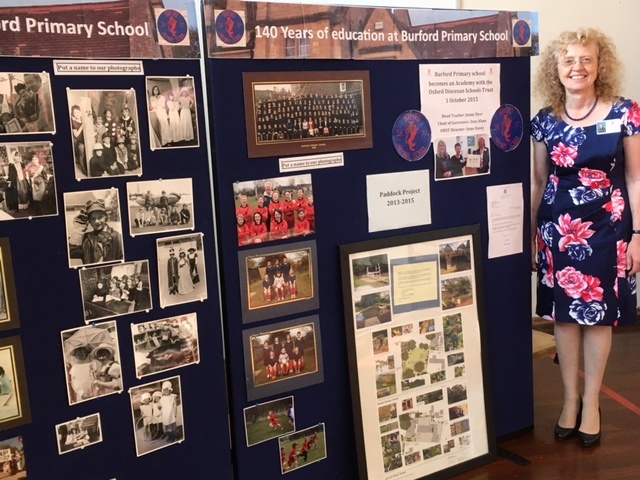 On Saturday the 23rd of September 2017, Burford School held a Reunion Event, which was their first alumni gathering. 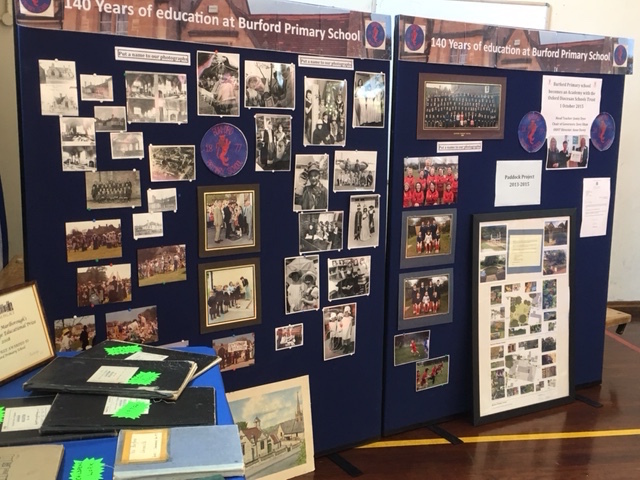 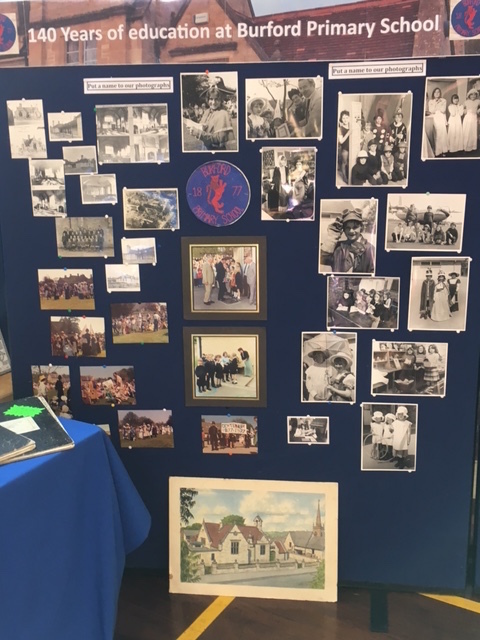 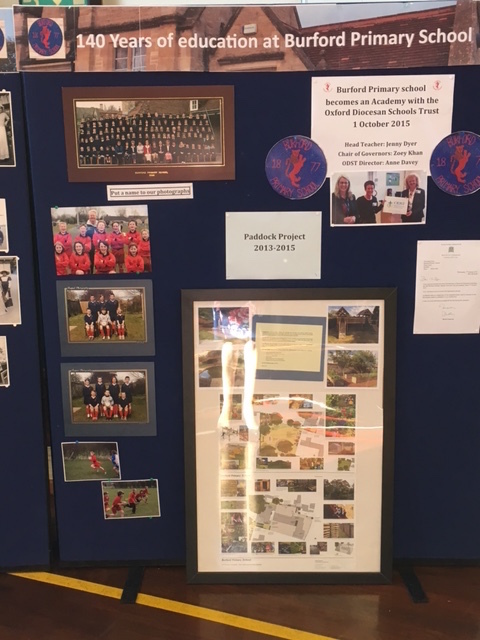 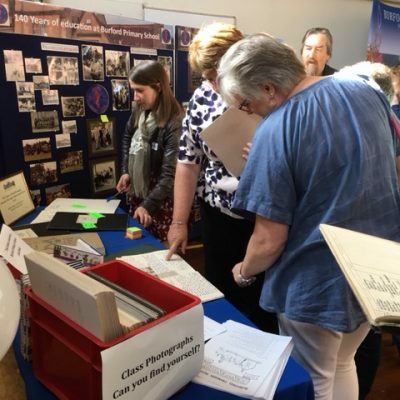 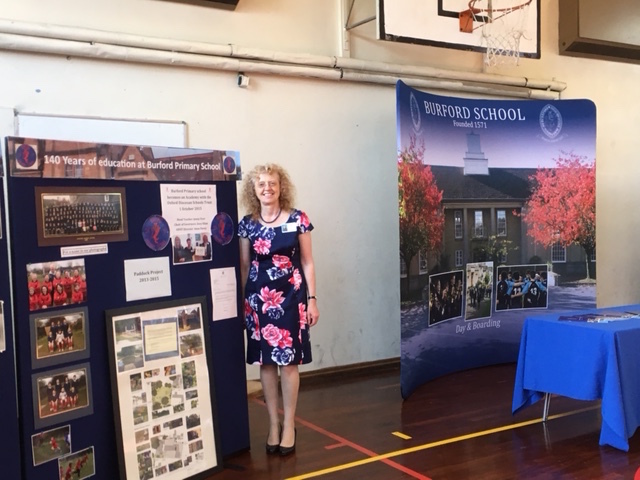 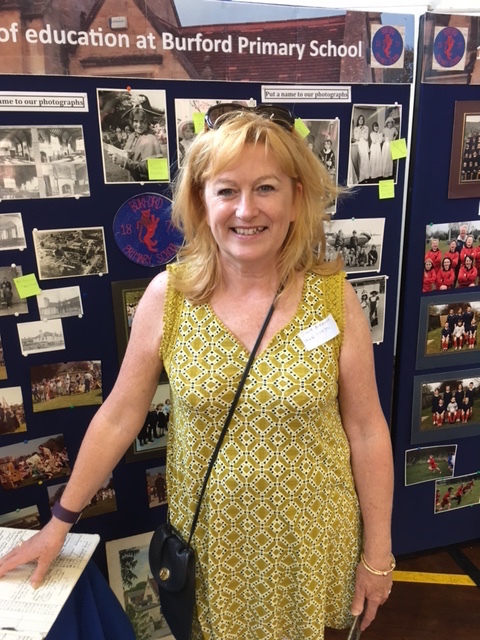 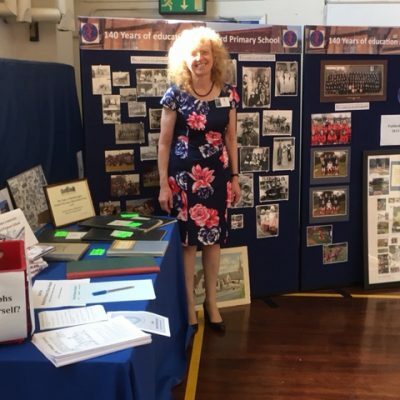 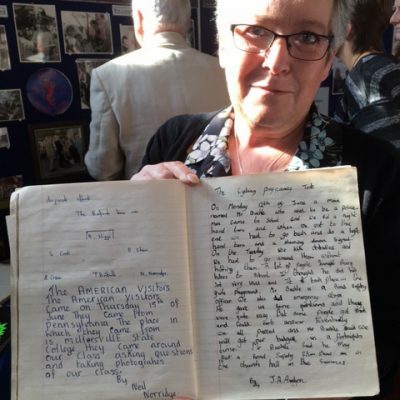 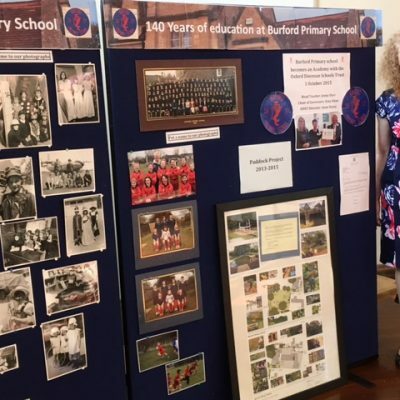 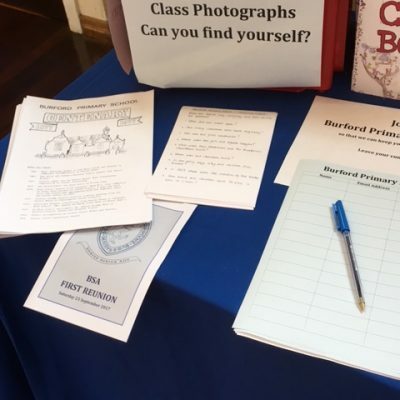 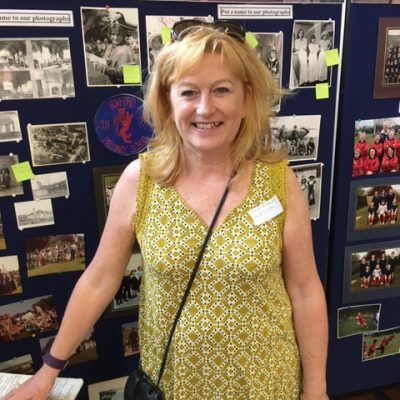 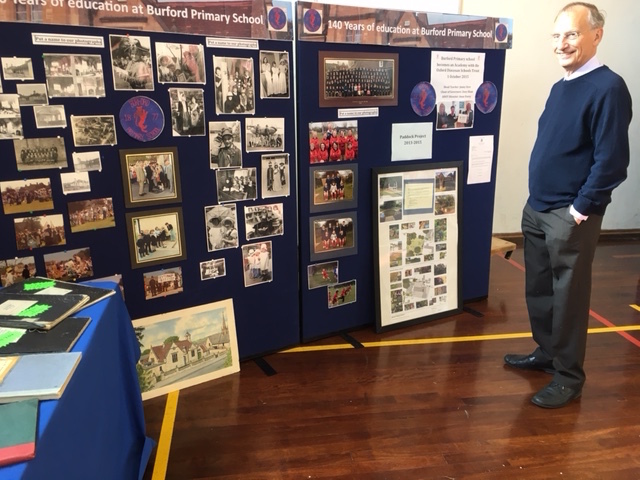 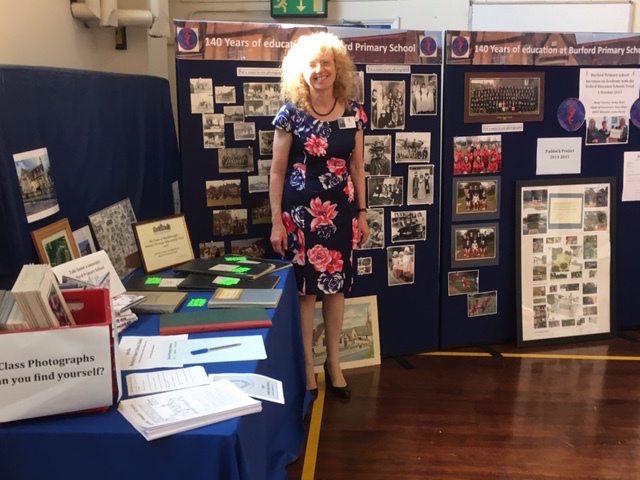 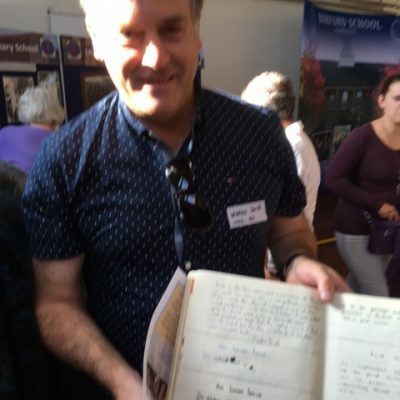 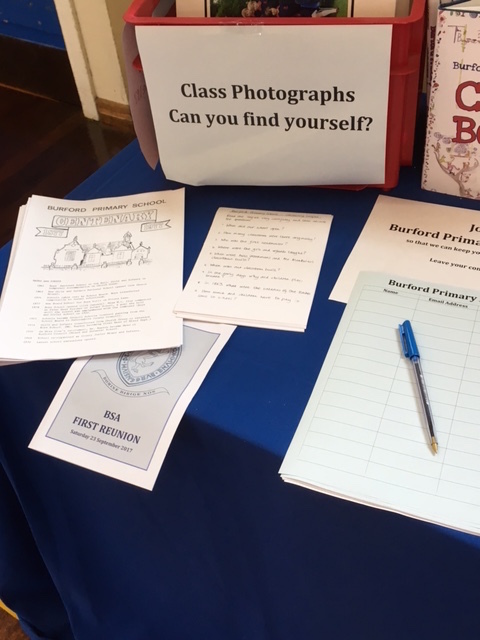 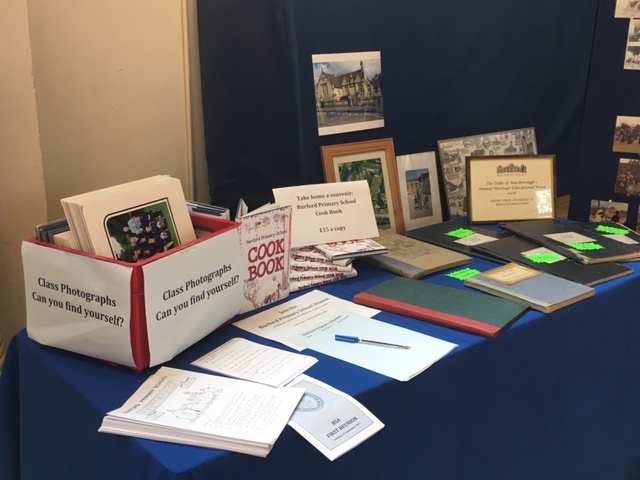 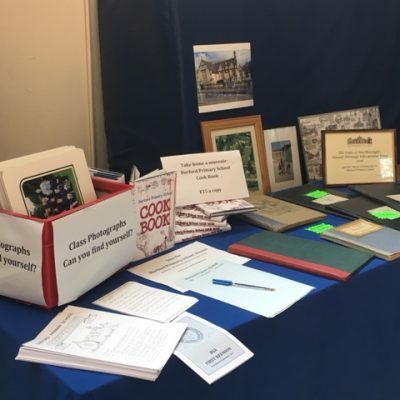 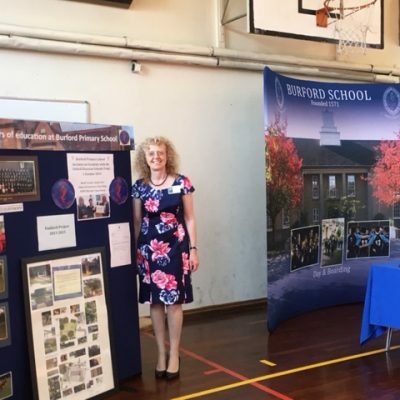 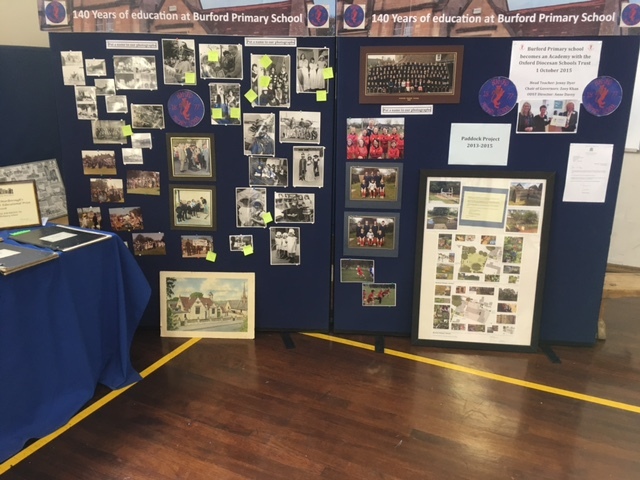 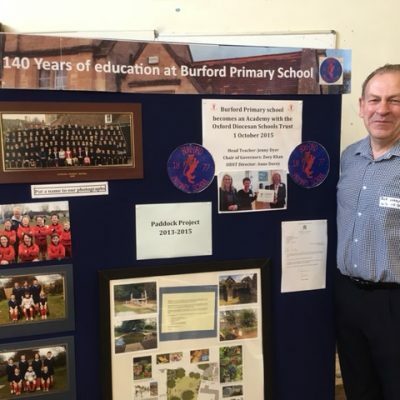 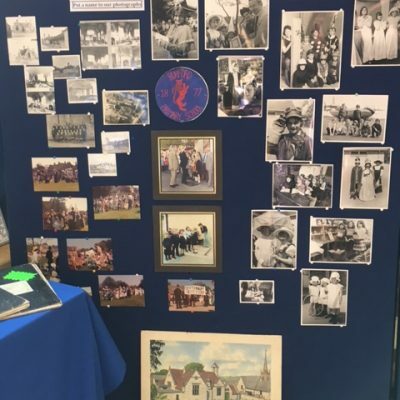 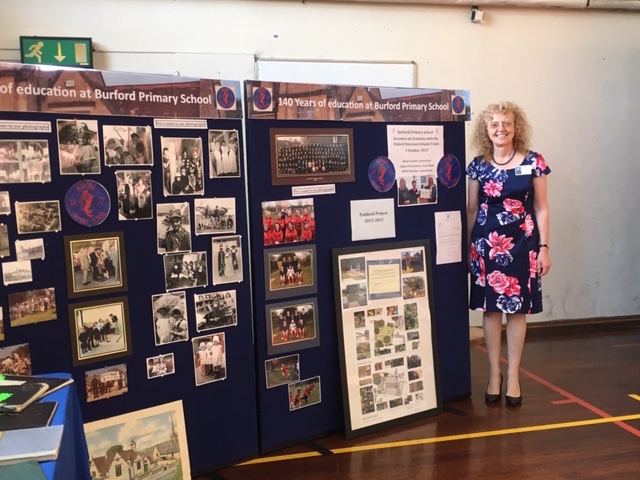 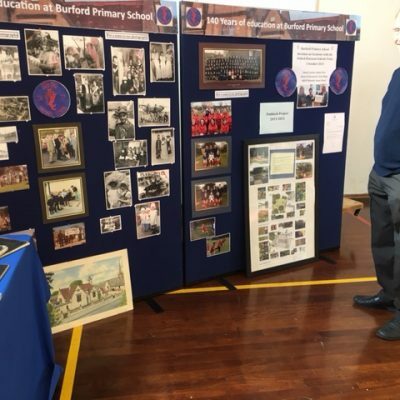 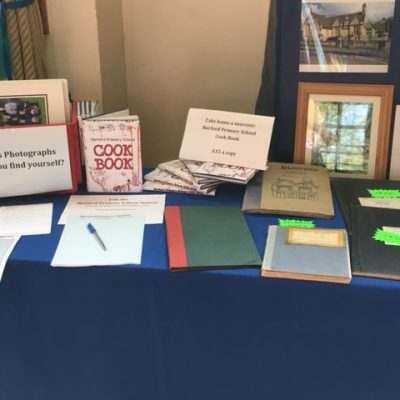 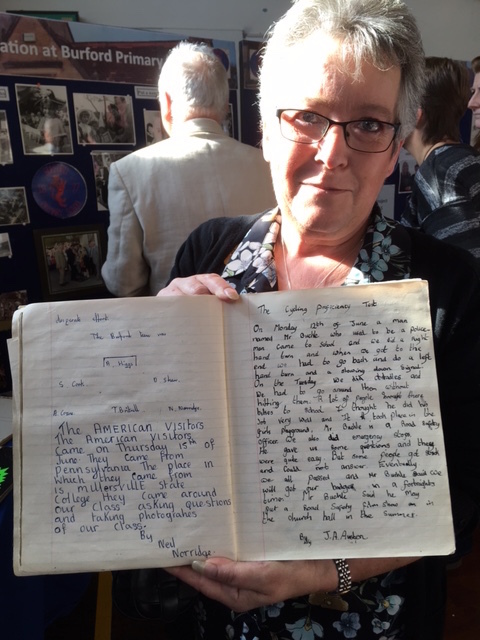 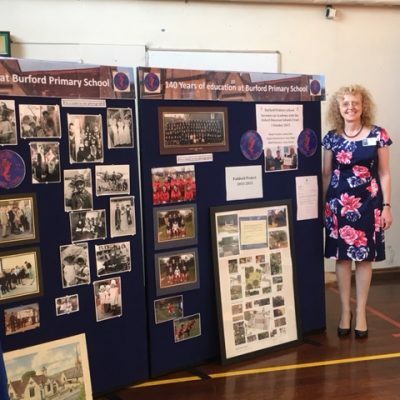 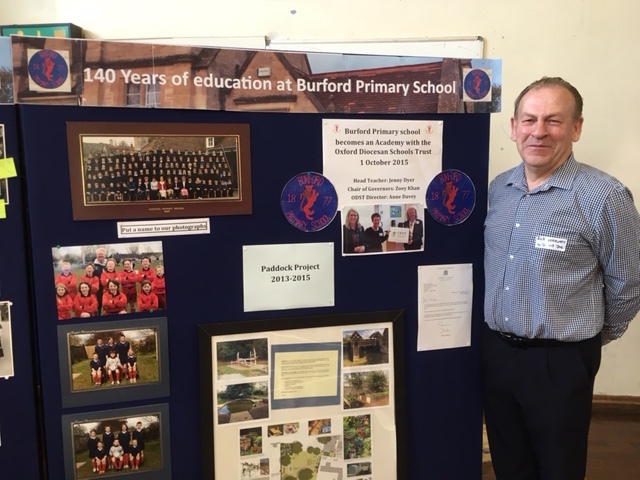 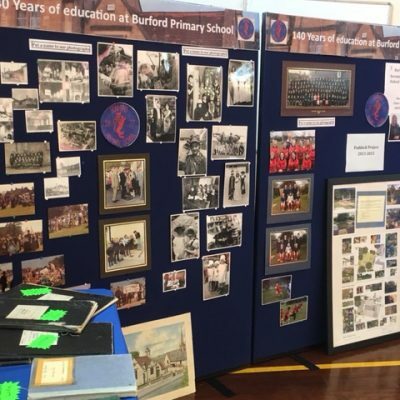 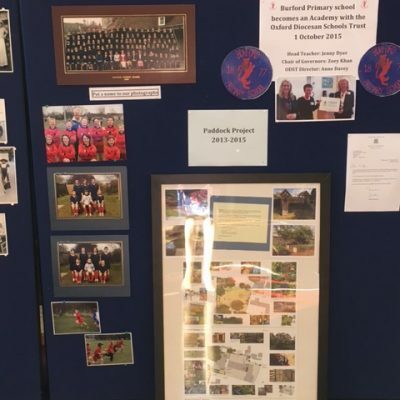 In attendance, celebrating Burford Primary School’s 140 years anniversary, was Mrs Dyer, complete with display boards and school memorabilia from over the years. 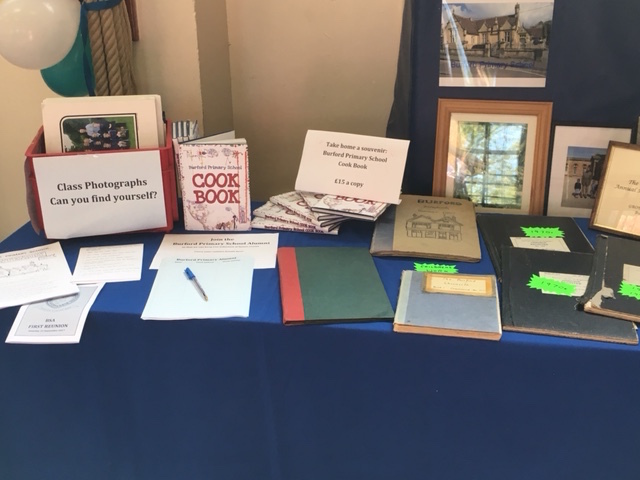 You can clearly see in the photographs below, the book held by two visitors on the photos is dated from 1971 and they were the proud owners of their work in that book – amazing! 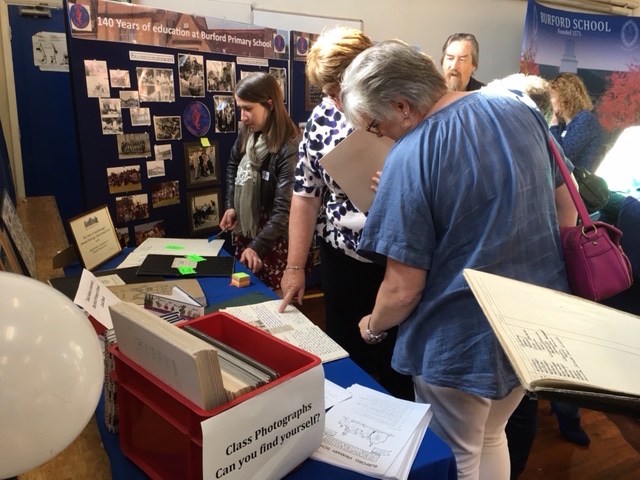 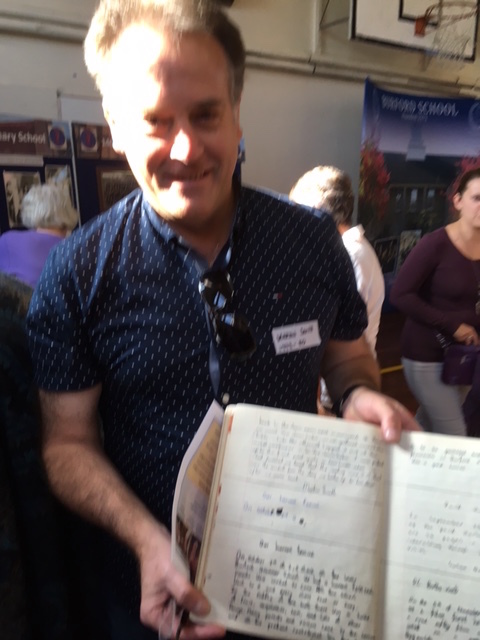 There was also lots of interest in the Admissions Registers that were displayed, with many old pupils finding their names! 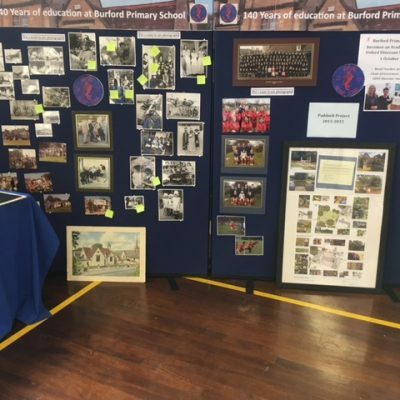 Click on the individual gallery images to enlarge them and open the scrolling gallery viewer.